Don’t be fooled, despite the name Wordsmith can do much more than make text shine brighter. It’s an excellent tool for a blogger in any niche. 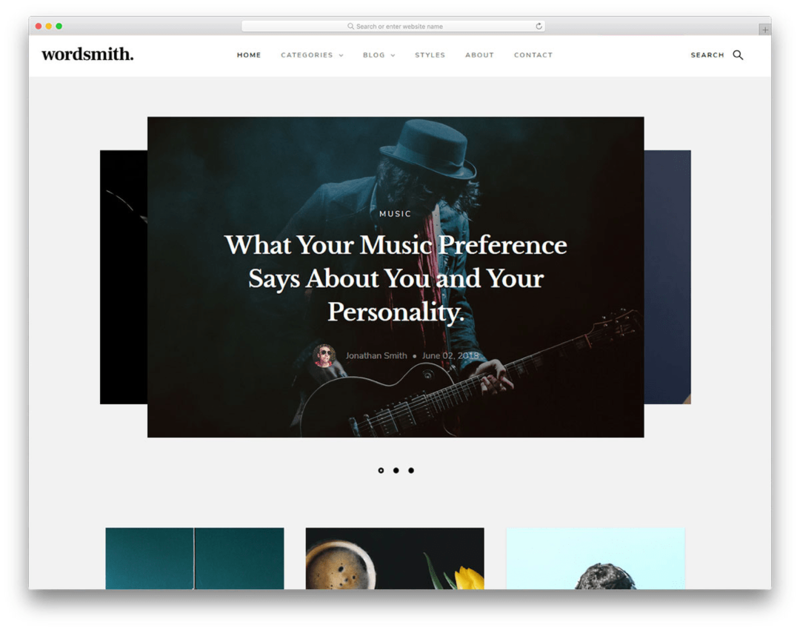 From the moment you open a webpage based on Wordsmith, you will be greeted by a modern carousel at the top, highlighting the main content pieces you’ve created. When scrolling down, a visitor will experience beautiful animation that makes every content piece pop beautifully. One of the great things about Wordsmith is that you can make a beautiful multi-niche blog that will be easily navigable. News, opinion pieces, articles or other content, whatever it is you wish to host online, Wordsmith will help it look its best.